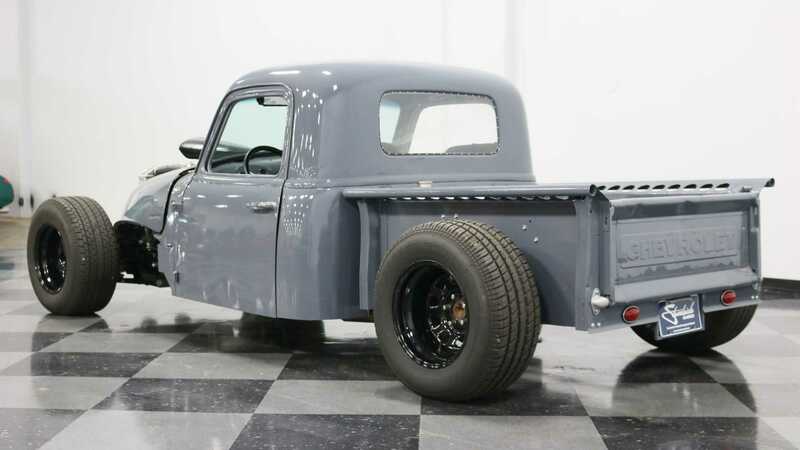 From classic pickup to apocalypse-inspired 450 Ci rat rod. This truck is incredible! 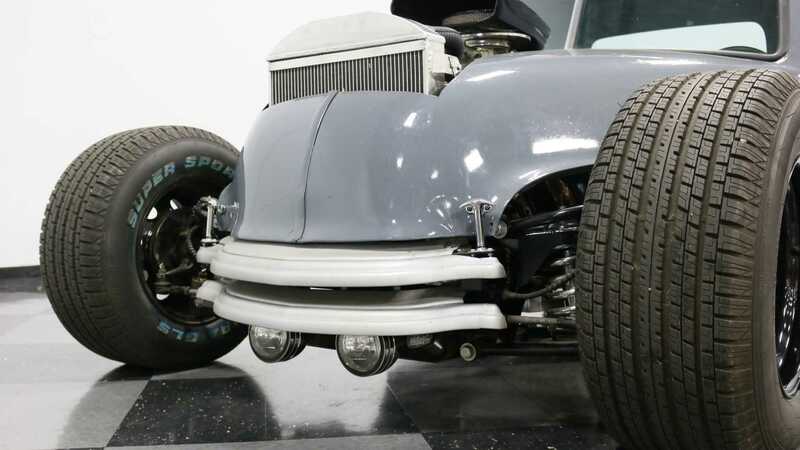 Rat rods are fantastic custom performance machines that embody total engineering freedom. There are no rules for these often apocalyptic looking vehicles that allow their creators to use just about anything they can get their hands on to realise their wildest automotive fantasies. Case and point, this awesome 1948 Chevrolet 3100 being offered by Streetside Classics. 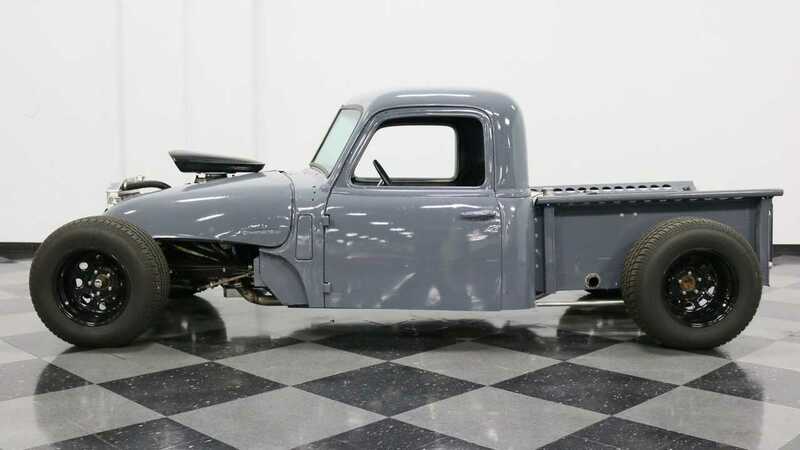 Looking like something fresh out of Mad Max, this classic pickup truck has been transformed into an aggressively styled hot rod. 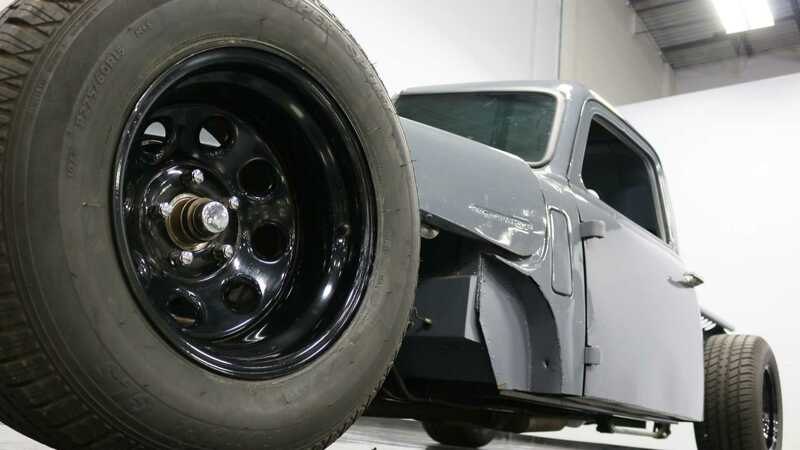 Chopped, lowered, and running with all four wheels exposed, it is a menacing thing to behold. 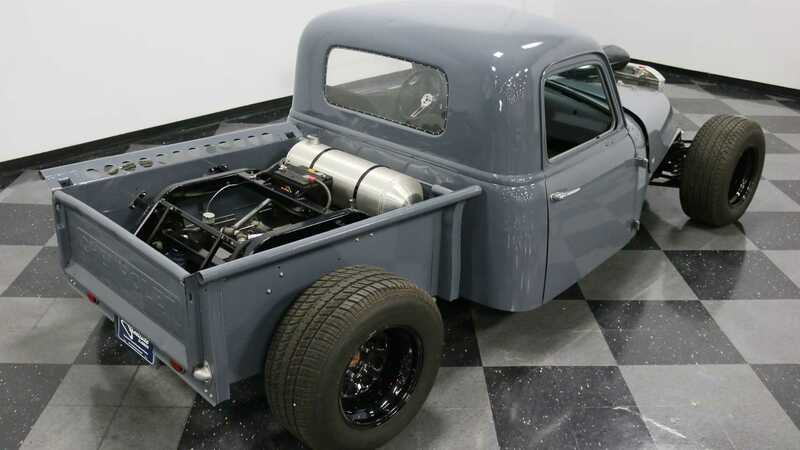 It has retained the distinctive domed hood and cab of its Chevrolet 3100 donor vehicle, each has been modified to accommodate new components that are far from standard. The interior still offers occupants good levels of space despite the chopping work, with two individual seats now bolted either side of a transmission tunnel. 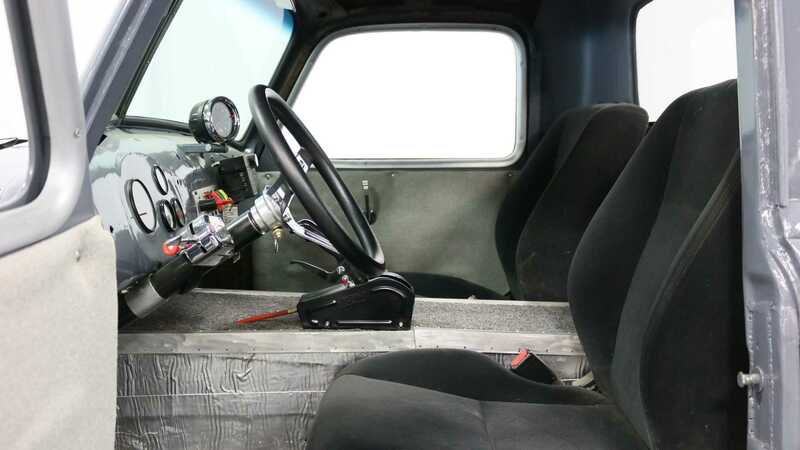 A simplistic cluster of gauges and some dangerous looking toggle switches now line the dashboard — this utilitarian cabin looks as purposeful as the rest of this rat rod. 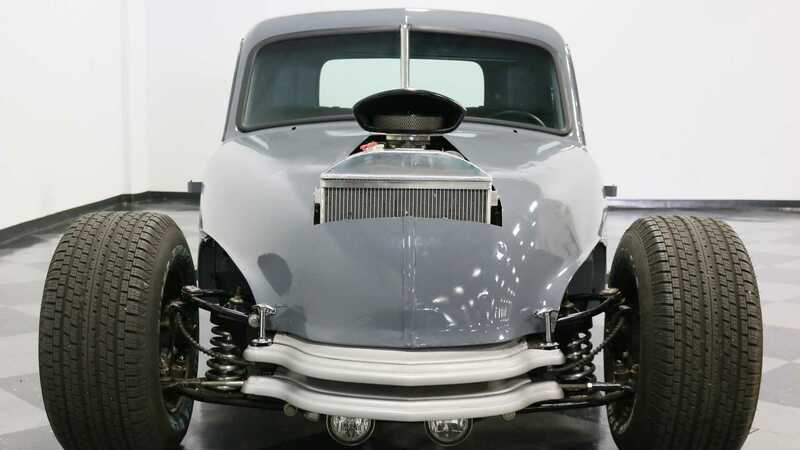 Its split windshield gives the driver a view out into the hood and naked radiator at its nose. 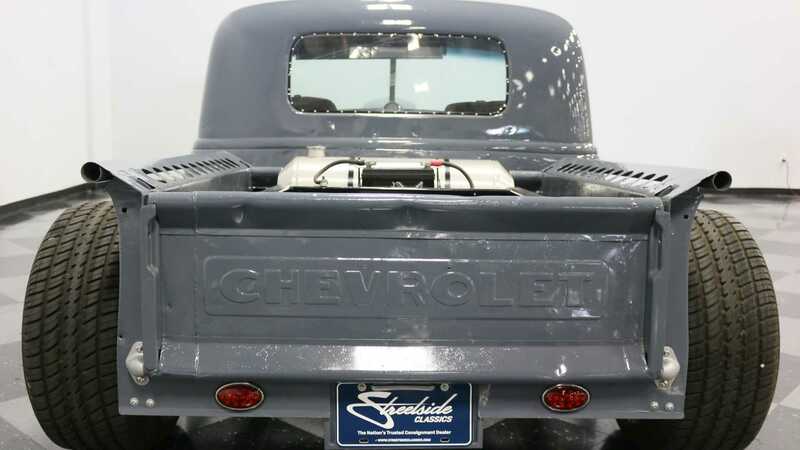 Underneath the truck’s hood, or indeed protruding through it, is a chromed 454 cubic-inch Chevrolet V8 motor. 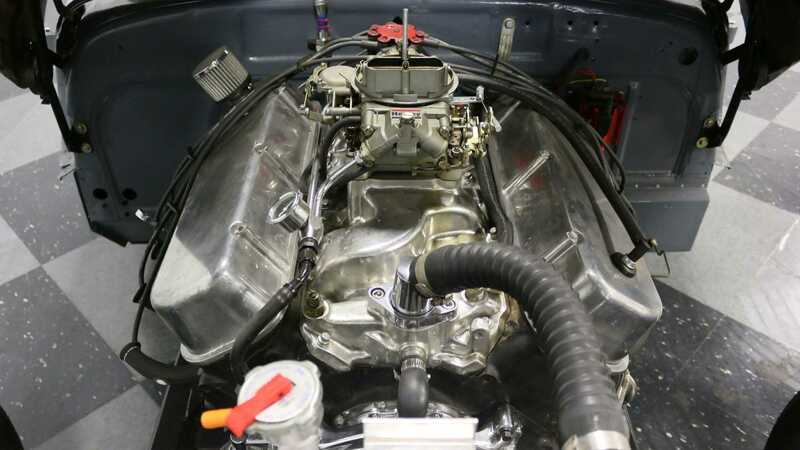 It is defined by a distinctive Holley 750CFM carburettor and a Flowmaster dual exhaust system that allows this engine to roar. Power is sent to the rear wheels of this truck using a 3-speed automatic transmission. 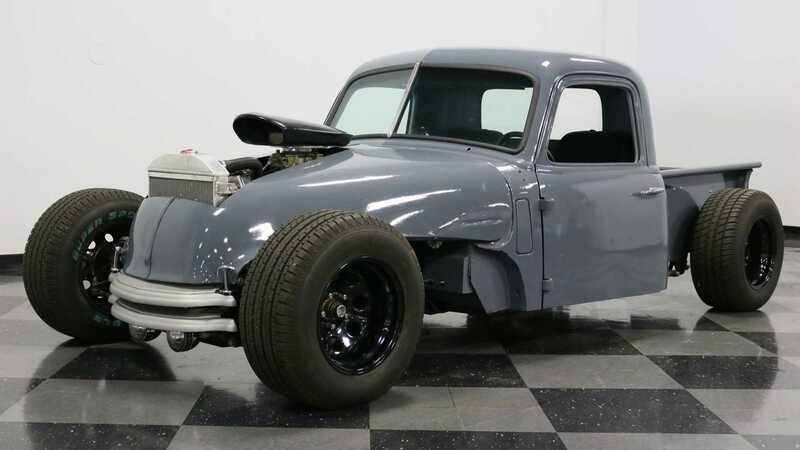 Disc brakes, Rack-and-pinion steering, and Mustang II suspension mean that this rat rod is capable of far more than just drag racing. 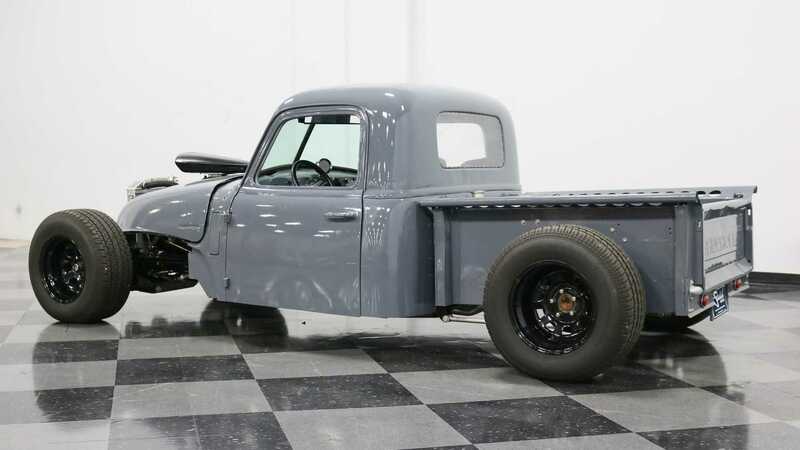 The Chevrolet 3100 Rat Rod has an asking price of $28,995 and has clocked just 15,478 miles since its construction. 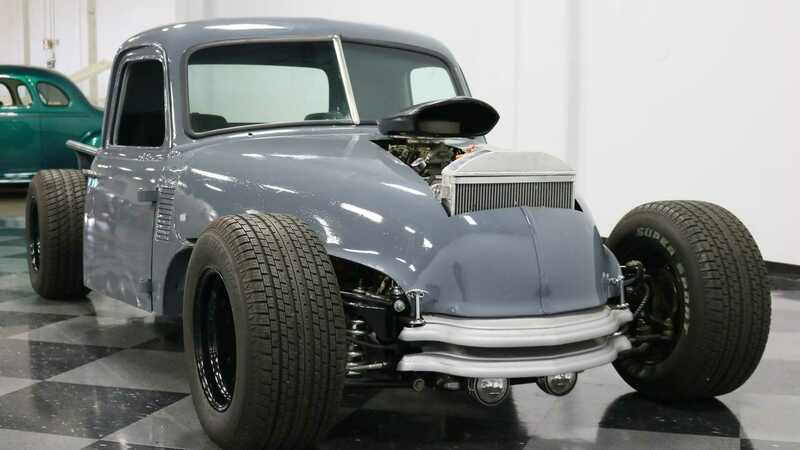 It is certainly out of the ordinary and would make for a far more imaginative purchase than any muscle car.